Right you lot of noobs and reprobates, as I have finally returned home after touring the world, and I want to post a competition to celebrate. I want you to get out there in your Skypigs, and post your results here. It could be a massive damage score, or a blind shot, or a comedy gold moment. Extra marks if you are in Bert!! Competition starts at 19:00 UK time today, and ends at midnight on Sunday 1st May. The winner might get a video made from the replay, and will also receive a random tanky related book from my collection (please excuse the pages been stuck together, I get excited at the sight of a Tiger). Upload your replays to [url]wotreplays.com[/url] and post them in this thread. Bert is a TD right ? Not eligible for the competition because it's before the start date (and I don't want anything anyway), but it should make you smile. Autoaiming, somewhat carrying, TD-Burt action and a gentlemen's duel with an enemy arty. I've been tipped the wink to post this replay here. It's my first foray into the replay world so I hope it's posted ok? Managed to somehow work out how to do a video as well, and post it in the replays section of the board. 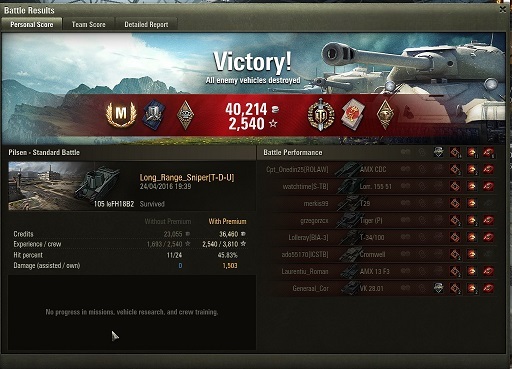 A tier 5 Dinger platoon carry a tier 8 game. The only tier 5 tanks on both sides. Well as soon as I saw this thread I thought it was asking for the M44. Pure HE as usual for me and for once luck and judgement worked together to allow me to kill five with the last five shells I fired! 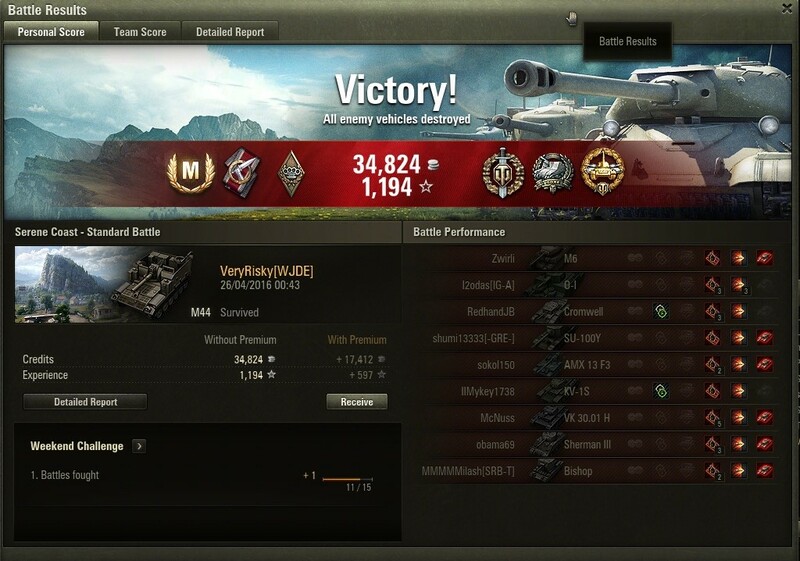 (The VK30.01H was perhaps a bit unlucky to get one-shot like that, mind you). I played one game in remembrance of the SU-26 for this competition. It was sad. High caliber with 3 shotgun kills. No spotters required. Some cracking replays so far, not long to go, so get them in, and don't forget, you can submit more than 1 if you want!